Controlling and modifying at will the transparency, electrical properties, and stiffness of a gel – such are the promises of a new discovery by re-searchers supported by the Swiss National Science Foundation (SNSF). This marks an important step for materials used in healthcare, high-tech, and the cosmetics industry. At the mention of gel, we immediately imagine extravagant hairstyles. In fact, this material is hiding everywhere: from contact lenses to ink, from sensors to medical electrodes and even breast implants. Their ultra-absorbent properties, flexibility, and grip make them appealing to researchers and manufacturers. They consist of a network of solids that can retain up to 99% of liquid while maintaining their shape. EPFL researchers have just published (*) how to combine two gels in such a way that they can monitor and change, almost at will, the properties of the new combined material. Involved in research on lens transparency, Giuseppe Foffi had the idea to transpose his research to gels in general. In the case of the eye, this SNSF Professor highlighted how the mixture of two proteins with very specific characteristics rendered the organ transparent. Applied to gels, this method can predict how the two materials will aggregate to form a new one. Work undertaken in Cambridge by Erika Eiser and his group has pro-duced a material that researchers have named “bigel”. The researchers managed to create it so quickly by combining DNA fragments with nanoparticles, a technique in which they are specialized. The DNA can be connected with different particles to produce gels with various pre-determined properties. By varying the size of the network of “bigel” particles on the microscopic level, it is possible to adjust light in a controlled manner. The physicists can determine to what light the gel is sensitive, by becoming more or less opaque. This is an interesting property in the field of photonics, which seeks to modulate, amplify, or filter light transmissions. The same type of plasticity is also possible for electrical particles. Another interesting characteristic of “bigels” is their reversibility. Just heat them to separate the components. It is enough to see the particular way that solid particles adjust to obtain other features, for example optics, from the same compounds. It is possible to have materials whose properties are dependent on temperature. April 9, 2019 - A Gobo Revolution: Add Interesting Light The Easy Way FstoppersA Gobo is used to create shapes of light on a subject. It's usually quite a hassle, but the StrobePro Optical Snoot has changed the game. March 25, 2019 - Trending in Lighting Design | LED Revolution With Hailey Featherstone Live DesignLighting tech/FOH tech Featherstone discusses growing up in the age of LED and how it will affect the future generations of lighting designers. March 30, 2019 - The ASICS GEL-Kayano 5 Is Back in Two Bold New Colorways HighsnobietyThe recently-relaunched ASICS GEL-Kayano 5 will be coming back in two new colorways: all-white and purple. Find out more about the release here. 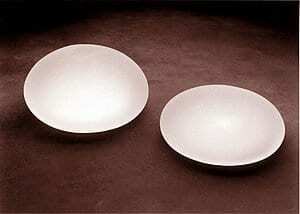 April 16, 2019 - Breast Implants Market Revolutionary Scope & Worldwide Opportunities by Top Key Players Allergan, Mentor Worldwide, CEREPLAS, Establishment Labs, GC Aesthetics, GROUPE SEBBIN industrydailyobserver.comBreast implants are the devices used for breast augmentation and enhancements of the aesthetics such as shape, size, and texture of a woman's breasts.